We are currently underway on Young Pioneer Tours’ Eurasian Adventure. Having made an epic 6 day crossing of the snow covered steppes of Mongolia and Russia on the Trans Siberian Express, I am now in Moscow after a week with no Internet or news from the outside world since Beijing. 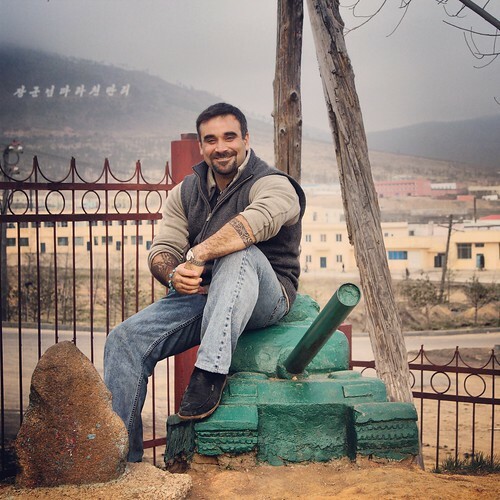 For YPT founder, Gareth Johnson, several returning customers making the trip, and myself, the adventure started 16 days ago as we completed all the trip prep-work and obtained visas in Beijing. The YPT apartment turned into a frat house with men sleeping on every available couch and vaguely comfortable surfaces (I spent a few nights hot bunking with the intern), ordering massive amounts of pizza delivery, and getting up to general shenanigans (people who didn’t watch their backside got tasered!). We visited top end night clubs and proudly avoided all things cultural, but in the mornings we were busy working: making consular visits for visas, setting up trip logistics to unrecognized countries, and having lunches at a secret North Korean embassy restaurant. I made 7 visits to the Belarusian Embassy, in the end sweet talking my way in and picking up my visa and passport on a day the consular was closed. The visa I finally received wont cover the time of my needed stay – I still need to visit the Belarus Embassy in Moscow to try to get the visa corrected. With everything close to being sorted, on the early morning of Oct 6th we brought 5 customers to the Beijing Main Station, boarding our 2nd class Chinese sleeper compartments on the K3 Trans Siberian Express. Being a group of 7 delinquents we promptly headed to the dining car and drank 5 bottles of Chinese Great Wall wine. I snuck off for an afternoon nap, returning later for more wine until we got kicked out of the dining car for being drunkards. 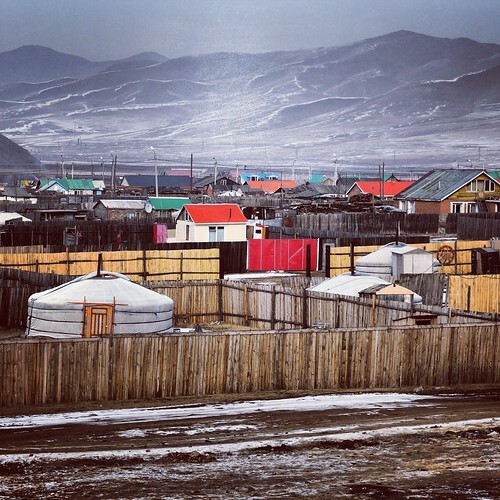 We reached the Chinese side of the Mongolian border around eight thirty at night. Largely due to having to change the rail gauge Chinese border formalities take about 3 hours to complete. 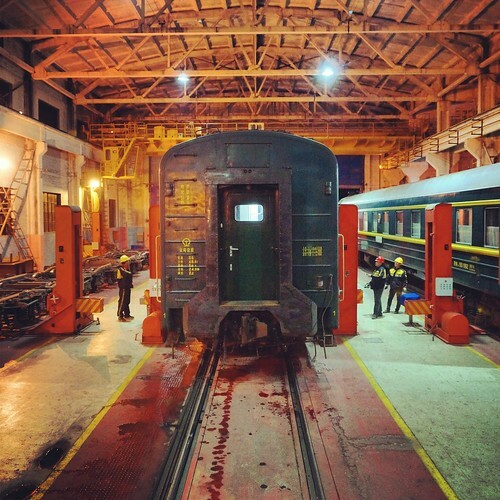 Passengers are usually let off and herded into the station, but we remained on board, our passenger car taken to a hanger and lifted to change the wheel assembly units – a fascinating experience. 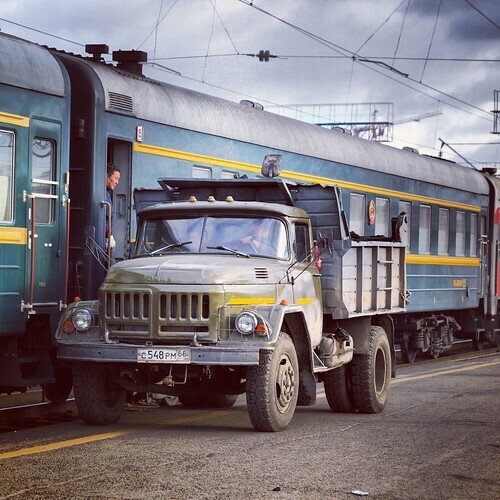 Changing the rail gauge at the Mongolian border. 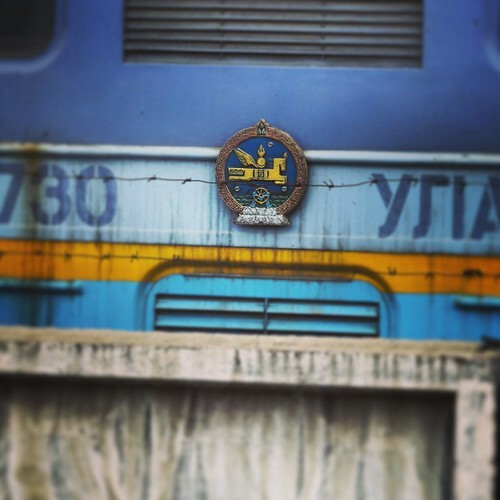 With the car rail gauge changed we waited for immigration. 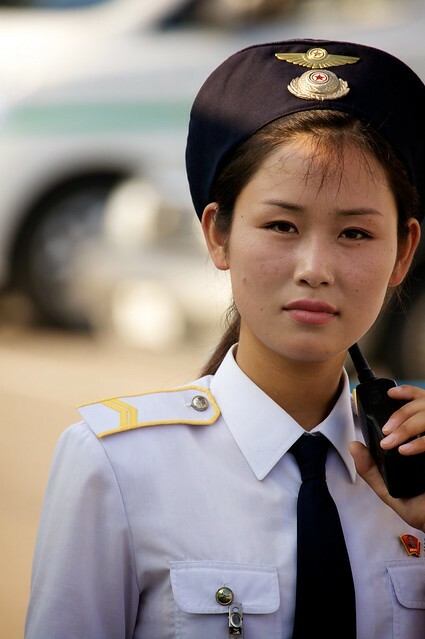 The attractive female officials of the Mongolian side, dressed up in fur hats, military outfits, and black leather boots were far more preferable to the dudes on the Chinese side. With customs finished, the bathrooms unlocked, and with the train heading north into Mongolia, I snuck into my top bunk for a sound nights sleep. 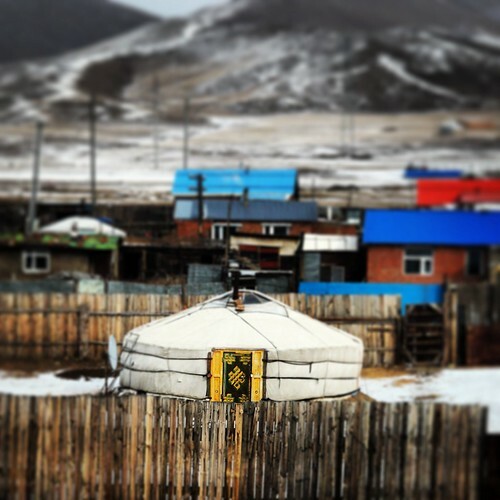 New day and new scenery; we are now rolling northbound across Mongolia with yurt dotted hills, pastures, and mountains passing our train windows. The temperature has dropped and shallow snow drifts cover the terrain. 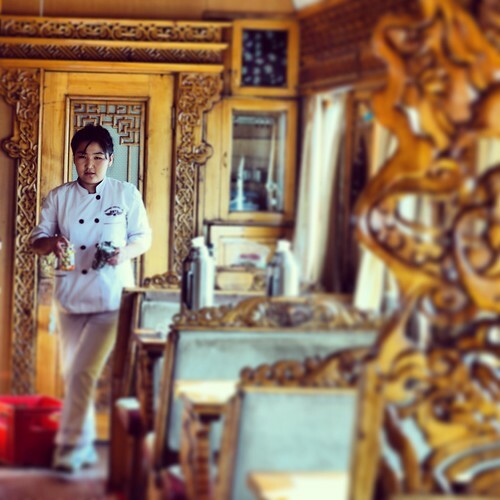 We still have our Chinese carriage but the food car has been changed out, now a Mongolian rig with intricately carved woodwork decorations, and an elaborate menu with only one meal available – nothing like the picture, but still tasty. 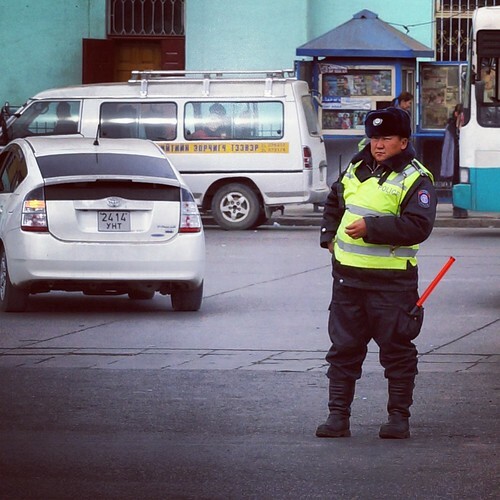 We hit Ulaanbaatar in the mid afternoon far a one hour stop. Our mission was to split up and buy bread, cheese, sausage, beer, vodka, mixers, and any other available treats. 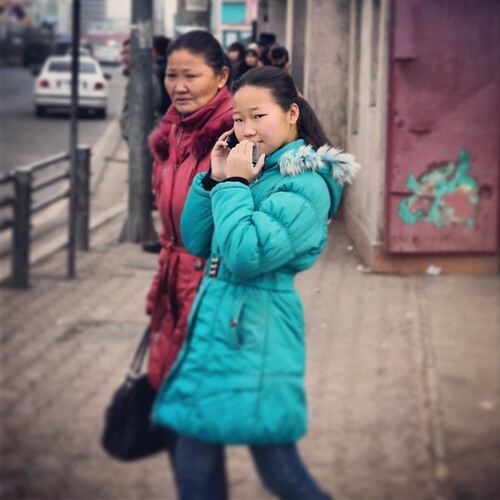 Ulaanbaatar is an ugly city with a certain charm that makes me want to return for a one week summer stay; I find the girls here attractive. 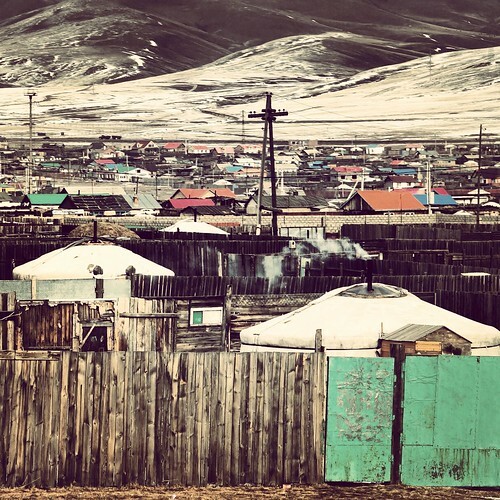 Despite warnings that Russain customs is intense and that we would need to be on our best behavior, our search for vodka was so successful that by the time we reached the 5 hour Mongolian/Russia border ordeal we were all excessively drunk. somehow they let us though without any major incident and we rolled on into Siberian Russia. Woke up early (we are now on Moscow time) to the view of Lake Baikal out our window. With dark storm clouds on the horizon, and ferocious breaking waves on the shore, the largest fresh water lake in the world is truly impressive. Our passage along its southern shore took three hours. We seem to have settled into life on the train. The smells of 7 men sharing two cabins: cigarettes, stale beer, and spilled tins of Russian sardines has turned the cabins quite rank. I use baby wet wipes to “shower” with, I don’t think the other guys even try. The two Chinese compartment attendants don’t really do much other then watch DVDs and cook their meals in the wash room – we seem to be here fending for ourselves. New sobriety laws have been passed in Russia and buying alcohol at the various stops is difficult but possible. We make our hushed requests for pivo (beer) and vodka at the station snack kiosks, with the attendant checking to see who is watching and advising us to hide he bottles in our jacket until back on our carriage. The days roll by; it has gotten cold! The carriages are toasty, warmed by coal burning furnaces – we find it fun to get drunk, sneak past the attendant, and feed coal into them ourselves. It’s only early November but the Siberian air mass is already frigid, making our food and booze runs at station stops a test of endurance. I try to pass the time by reading books, but this only raises ridicule from the other travelers who want to get drunk or simply find it amusing to mess with me. We found on our new 2nd hand iPad an app called Star Girl. A game whose demographic targets prepubescent girls, Star Girl has given us hours of entertainment as we go on dates, receive gifts from virtual boyfriends, and build our wardrobe with new outfits to increase our attraction points. The fact that we spend a lot of time in the virtual underwear shop is admittedly rather creepy – but a game that teaches young girls that having lots of boyfriend whose sole purpose are to give you gifts is even more disturbing then us enjoying the game. 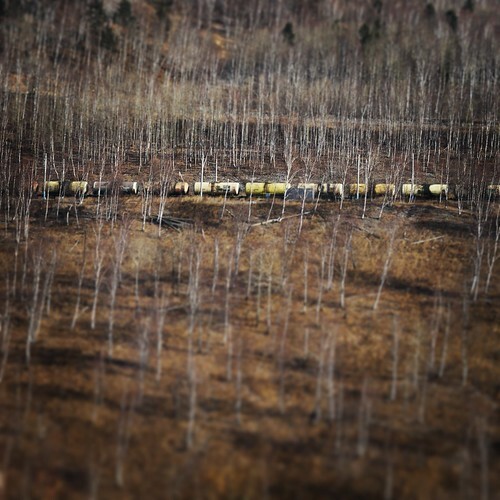 A station stop in Siberia. 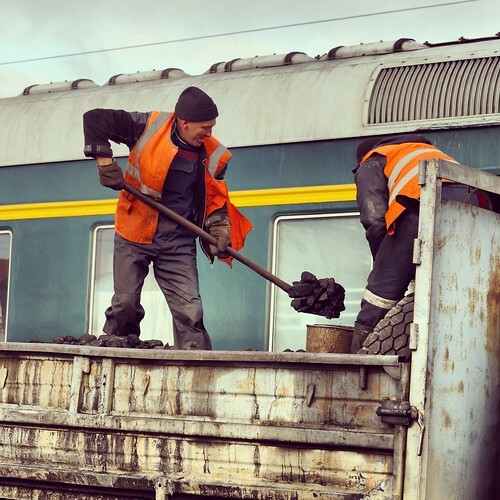 Truck load of coal to warm the carriages. Volleyball Cheerleaders at Mt. 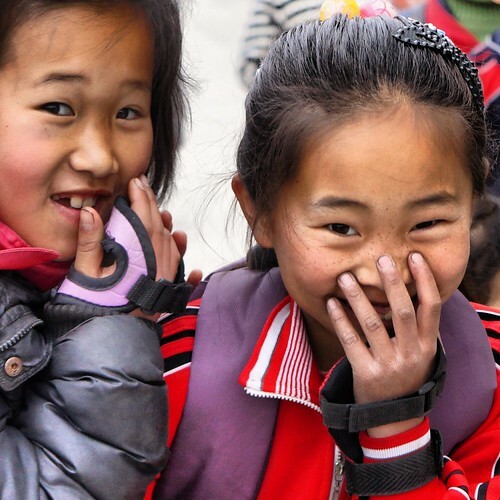 Chilbo Home Stay – new routes to this area of the DPRK have been authorized! 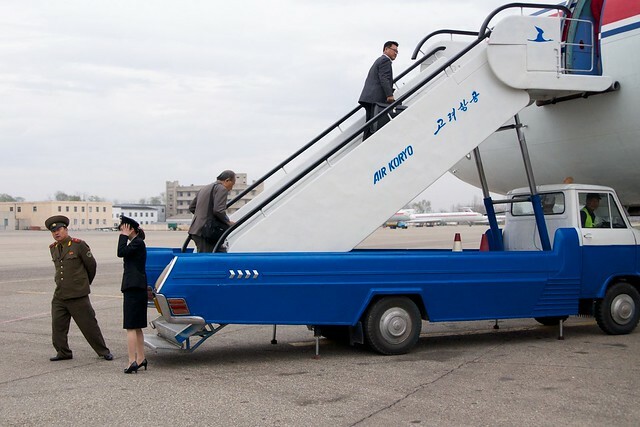 We have just heard from our partners in the DPRK, and are very happy to announce a few new very exciting new routes into and out of the DPRK starting from next month. 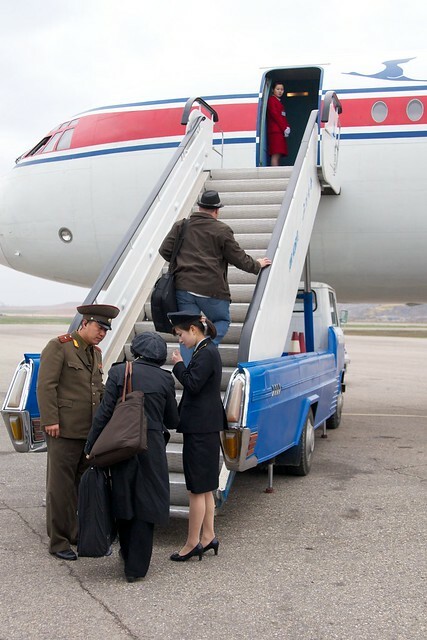 It is now possible to have a standard DPRK Tour (Pyongyang etc), charter flight to Mt Chilbo, and exit via Hamhyong, or most excitingly through the Rason SEZ. This great news as it will mean we no longer have to exit via China, and most importantly no longer require triple, or even quadruple Chinese visas, with a double entry visa being sufficient. We are still waiting for exact prices of the charter flight, which after we receive will start planning itineraries accordingly. This is something we have been pushing for for quite some time, and are extremely excited about. 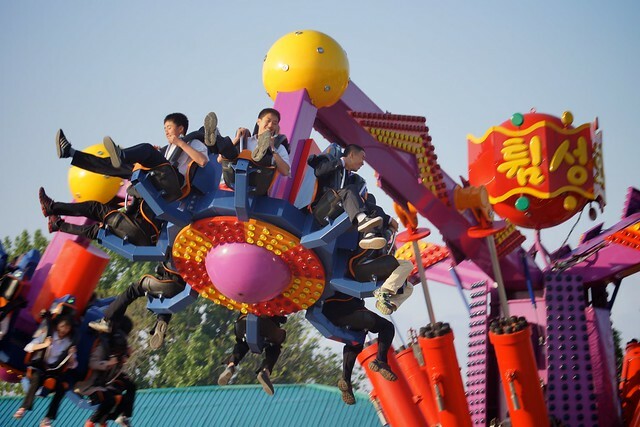 Sinuiju to open for day trips. We have had great news from our partners in the DPRK and China that as of now Sinuiju will now be open to day tourists from western countries. Visitors require a valid passport of at least 6 month, and need to apply for a travel permit which will take 4 days to process. Currently citizens of the USA, Japan, and Republic of Korea cannot join the tours. The tours are restricted to days at present, but will be extended to overnight when CITS finish the new hotel in August. 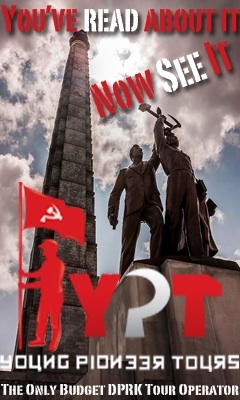 YPT plans to run group trips every Sunday, as well as offering the ability to do independent trips throughout the week. We are also working on having Sinuiju as standalone extension for those people returning from a “mainland” DPRK tour, amongst other things. We will be running a tester trip on May 26th, as well as meeting our partners for further negotiations. We aim to have more up to date news as soon as possible. 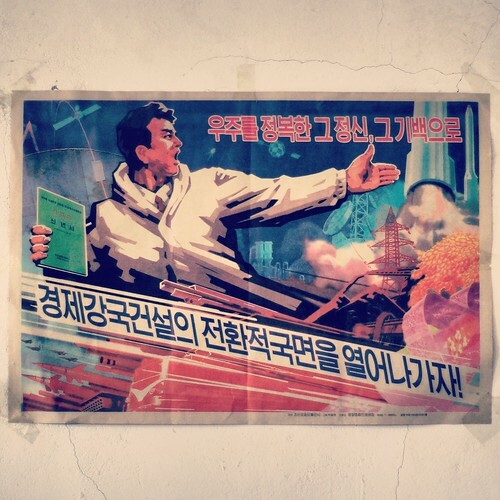 Propaganda art at the Rason SEZ shoe factory – unfortunately not for sale. I have been reading through your website after a friend put the idea of a NK trip into my head. The idea of seeing NK before too much changes (example of Suddam’s Palace before his fall compared to after) just wont get out of my head. While there is surprisingly a lot of information about the tours on offer, various questions still elude me. 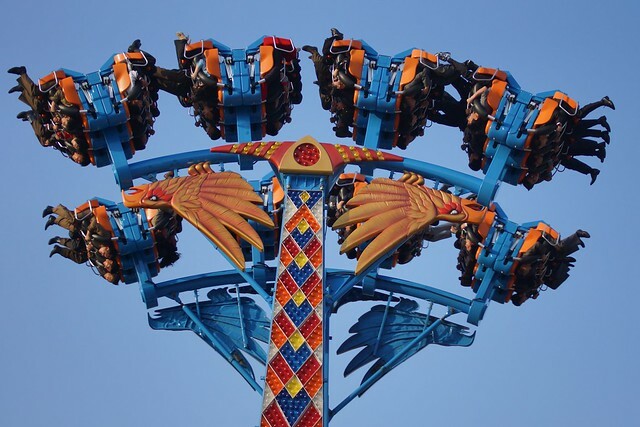 Would you be able to do a detailed article on how to get the most out of a NK holiday? Maybe some of my questions are more suited to a private tour with friends which is why they don’t pop up as most tours seem to be group booking with random people. After going so many times, I couldn’t think of a better person to ask. – How much should you tip a guide? Some websites are saying up to 10 euro per guide per day from each group member… that would make them extremely wealthy compared to he average NK citizen after only 1 tour? Do the guides keep the money or is it given to the government and they are paid a wage? Our policy is to tip 7 Euro per day per participant of the tour (or equivalent in hard currency). The cash will be pooled together and split something like 40% – 40% – 20% between the two guides and driver. The money goes to the tourism workers, guides, and driver, and is not handed over to the government. 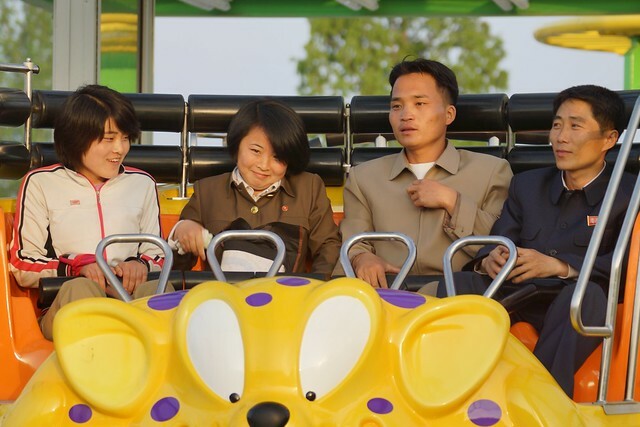 Yes, access to hard currency does make the guides wealthy in the DPRK, but remember that money will be spread out and shared between the guide’s extended family and their networks of support. The wage paid by the government for the guiding job is negligible. – How much cash do you need, some people say 200-300 euro others up to thousands. Besides tips and extra food/alcohol and small but expensive souvenirs, what else can I buy? And realistically how much per day should I plan to have to spend including tipping? 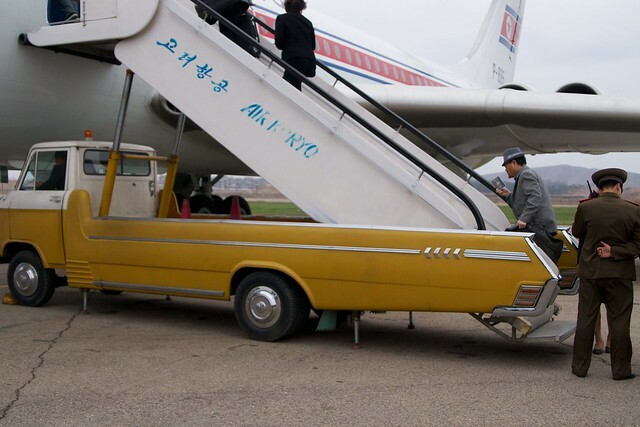 For a seven day trip based in Pyongyang 400 dollars should be adequate. Of course there are no banks or ATM machines so I always play it safe and bring more than I need. If you really love propaganda art perhaps consider bringing more, hand painted posters cost around 60 Euros, hand embroidered masterpieces start around 200 Euros. Also consider your price for the Arirang Mass Games ticket if you go in late summer/fall, and don’t forget your tip! – Everything is in Euros and they say ‘have lots of small denominations.’ How small? what is the average price of items I would be spending money on? Do I need 50 Euro in small coins or are we talking 1 euro plus to buy anything? Actually USD, Euro, and RMB are all acceptable. Small bills are helpful – don’t come with a single 500 euro bill, nobody will break it. Bills below the 50 denomination will be the most useful. When spending hard currency be prepared to receive mixed change, perhaps it could come in a mix of Euro coins and small RMB bills. Things you might spend small bills on: an extra coffee in the morning or after lunch, a game of pool or bowling, a beer or two at night, sending postcards, bottled water…..
– In one of your articles is says that you gave the guide several euros to buy more beer. How accepted is this practice? Would they be able to get you other things not normally provided? Traditional meals from local restaurants? Memorabilia that isn’t sold in a government run tourist stand? Using hard currency and having our guide get beers at local cost was a special circumstance, I wouldn’t normally expect it. You might be able to have them get you ice cream or other local treats, just ask and see, but unfortunately all sit down meals will be at authorized tourism restaurants. 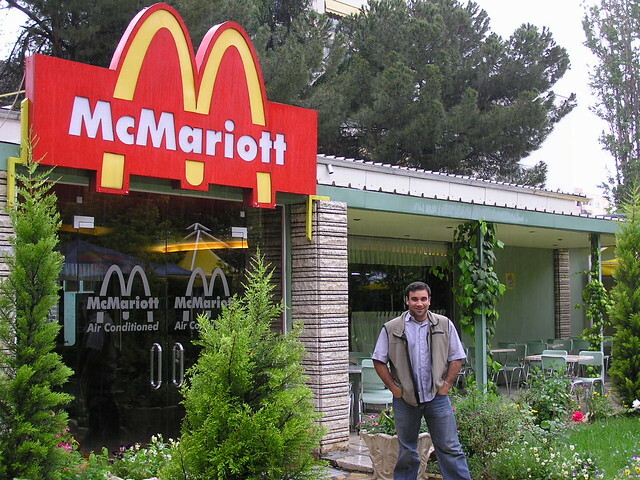 It is possible to order extra food off the menu but the cost will be out of your pocket and in hard currency. – How can you get the guide to allow more time for photos or other small side deviations? (if there was a nice park and you wanted to stop and take some photos but it wasn’t on the itinerary). Easiest way to get this accomplished is to act as a responsible visitor and respect their photography rules and customs. When you gain their trust it’s much more likely your guides will accommodate a request to stop and check out a passing site. – Taking home a piece of art would be high on my list of things to do. Where would this be available? Is there local art of personal expression or is it controlled art by the government? Again is this something the guide would need to source? Not on many tour itineraries I would try to get your guide to fit in a trip to the embroidery institute. It is possible to commission work there, or you can browse through their showroom. Also mention to your western guide your interest in art so they can work early on to ensure stops at showrooms and galleries are including in the itinerary. – Are there stores that would have antique items for sale, old books or small items that would make a unique gift, rather than a commemorative pin or stamps? Again is this something the guide would need to source? I have not seen anything like this, and while possible, acquiring antiques is only done by a few people with long and developed relationships and after many return visits. – When attending the Mass Games, is there any advantage (photography wise) to purchasing a much more expensive seat? Is there 220 euro better photos in VIP section compared to 80 euro standard seat if you have a good camera and quality lens? I have only been to Arirang Mass Games once and consider my 150 Euro 1st class seat to be completely adequate. We had a table which was perfect for a small pocket tripod (they don’t like large pro tripods). You have a great view wherever you sit. If you go for the 80 Euro third class section consider bringing a monopod. – You mentioned at night there is only bars and theme parks to go to. Can you bar hop from hotel to hotel until closing time? Possibly to meet up with other tour groups? If you want to go out at night take a close look at the itineraries offered by tour companies. My company (Young Pioneer Tours) routinely offers nightly visits to the various drinking venues, but bar hopping really isn’t an option. The majority of tour groups will be based at the Yanggakdo Hotel, with the best place to mingle with other groups being the hotel’s microbrewery bar. – Are the women working in the hotels, as guides or ones you can interact with all married? If not what is the etiquette for social interaction? Are they banned from physical interaction with westerners after hours? (obviously not talking about prostitution as that is illegal, free will interaction) I wouldn’t want to offend anyone the same way you wouldn’t ask a woman in Muslim country as it is not socially/religiously acceptable. No, they are not all married, some are single, and some are dating. Interacting with people in the tourism industry is fine, you can invite the girl that works at the Viennese coffee shop to play foosball, or have a dance with a BBQ waitress, but these interactions will be part of their workday and any meeting up with an off duty girl is impossible – as is any type of intimate interaction. Your female tour guide will probably have a beer with the group after hours at one of the hotel bars, but please be aware of the situation, often the DPRK guides can be seen meeting up with long time friends and enjoying some quiet time after a long day – drunken tour members crashing their private time is not particularly welcome but a common scene. – There is a lot of talk about local beer (I am not a beer drinker), do they have local spirits? (excluding rice based alcohol) Whiskey? I’m a beer and wine guy myself; I have seen some imported whiskeys available, but I suggest you bring in your own bottle from Chinese duty free. There is absolutely no problem with BYO in DPRK. Local spirits besides soju include blueberry and apricot wines, and various snake liqueurs. – Do you have any recommendation for non itinerary items you can suggest to the guides on a standard 7 day tour? Seeing a sporting, art or cultural event. Do you need to tip to get these added on for the day or only pay entry to the event (if required). 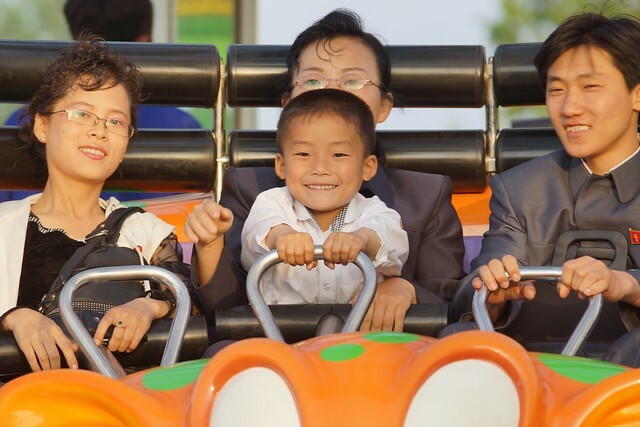 You just need to enquire what is happening in Pyongyang during you stay, it is possible for the guides to arrange a visit to the circus, dolphin show, revolutionary opera, sports events, pizza restaurant, shooting range, or maybe even the Moranbong Band concert. These activities are not held on a daily basis, cost extra, and your entire group will need to agree on making the activity. I would suggest approaching your western guide to help setup any extra activities. Sorry I know the list is long, but I tried to make it concise. I feel the above would really help anyone seriously considering going to NK and help in the planning process. Your site and views on NK was inspiring, to be able to show the unbiased beauty of a country with so much negative press is a rare talent, keep up the good work. Hanging out with the Pyongyang lamb BBQ girls. Im off to Pyongyang tomorrow to lead a Young Pioneer Tours group on the first ever North Korean fishing trip. This will be my last DPRK trip of the season – wish us good weather, good photography, and hungry fish! I’m back to the ship June 8th, hopefully then I can settle down and get caught up on all the photos and blogging. My next vacation will be in the fall. I already have some ideas for Oct. DPRK trips, if interested plus send me an email. On a tank statue at the Rason kindergarten. 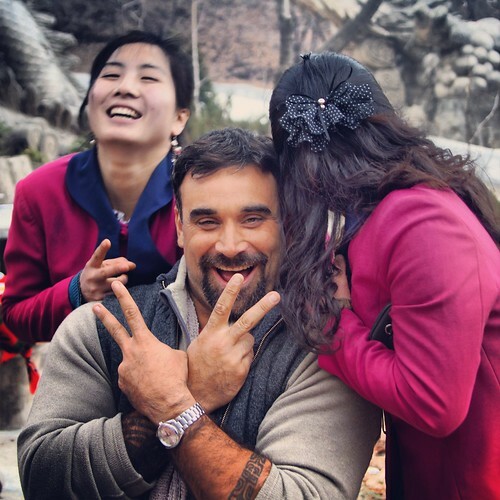 I just returned to Yanji, China from yet another epic trip to North Korea. Keep an eye on my Instagram over the next few days for the latest pics from this trip. Tomorrow I have an overnight train to Beijing and return to Pyongyang to guide a 9 day fishing trip starting May 13th. 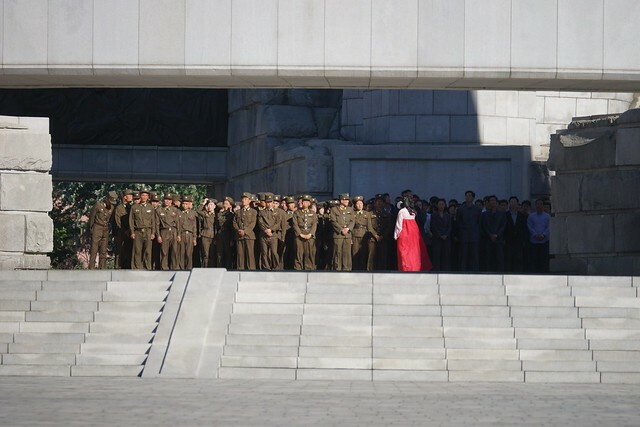 With so many great pics from my last trip, such as the one above, it’s unfortunate that I’m in such a rush with less then a week turn-abound between DPRK trips. I have had no time to give my photography work and this blog the attention they deserve – arranging visas, train tickets, sleep, laundry, and buying fishing equipment has taken precedence. 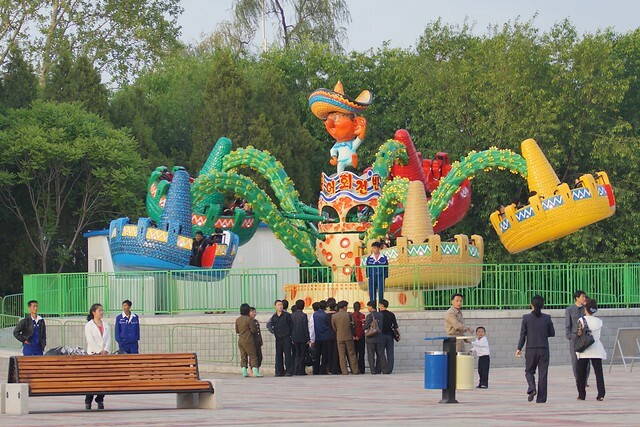 Tomorrow I head back up to Yanji to bring a small group of DPRK return visitors into the Rason Special Economic Zone. Does Rason ring a bell? It’s where American tour guide Kenneth Bae was recently arrested and convicted for unspecified crimes against the government. I have been receiving plenty of warnings from concerned people that I will become the next pawn on the international stage, but please remember that unlike Kenneth Bae, we will be engaged in legitimate tourism. Laptops and hard drives full of religious materials, and videos profiling human rights abuses will be the last thing I will carry across the border with me. So please don’t worry about me! Extremely rare North Korean stamps in my passport. 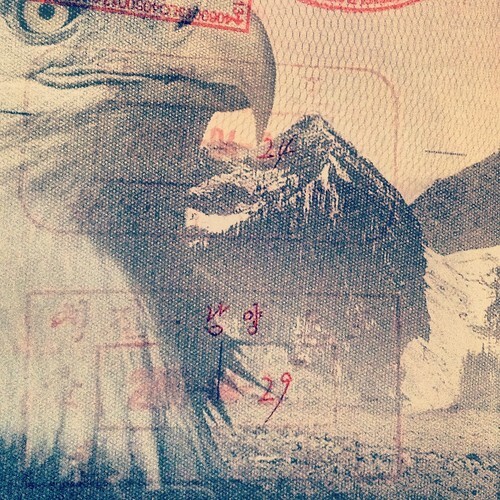 Americans, as well as most tourists, get their stamps on an external visa which they don’t get to keep. This is for the land crossing at Namyang\Tumen border and may be a first ever event. Girls on roller skates in Chongjin City, North Korea. Get a sneak peak of my most recent trip via my latest uploads to Instagram. I’m safely back in China after an amazing week in the rarely visited Northeast region of the DPRK. Of all my trips to North Korea this has been my favorite. Our locally based guides of the Chilbo San Tourism Company were full of enthusiasm and provided us access to sites and experiences which are inaccessible if coming up to the region with the Pyongyang based KITC company. We were the first western tour group to cross the Tumen/Namyang border on a route to Chongjin only traveled by NGOs and Chinese tourists in the past. Our ride to Chongjin took us on secondary mountain roads never traveled by any westerners before when we found our route blocked by an overturned truck and were forced to make a 7 hour detour – this was not a typical DPRK tour. During the course of the trip we hiked a mountain peak in a snowstorm, taught kids American football in a small random village (we were forced to stop due to a washed out road), played with locals in volleyball matches, visited a middle school never visited by any tourist before and taught English in the foreign language class, and had a ride on a fishing boat in the Eastern Sea of Korea – I even won a North Korean traditional wrestling tournament at the Mt. Chilbo Home Stay. I’m going to be resting up for a few days in Yanji and Beijing before I turn around and head back into DPRK to lead a tour to the Rason Special Economic Zone. Waiting for my Manila to Beijing flight for yet another North Korea trip this week. On April 22nd I start the Extreme North East Tour and will be the first American tourist to cross the Tumen land border. In November 2012, YPT, and Troy became the first westerner to cross the Tumen border in Namyang, into the extreme North-East of the DPRK. This will be the second group of Western Tourists to enter the country via Namyang and to undertake this route! 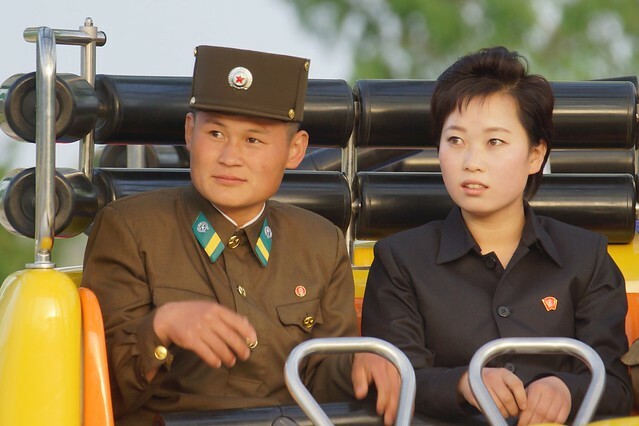 Our trip starts off either in Beijing, or meeting us directly in Tumen to cross on foot over the bridge and into the DPRK, and Namyang, where your extreme DPRK experience starts with a bang. This can be considered the most intense border crossing in the country, with every piece of paper that you own, and all your electronics and bags being given the most thorough going over you are ever likely to receive in any border! It might sound scary, but the intensity makes it quite the experience. We are then met by our extremely friendly guides and driven to Hyeryong, a city only just opened to western tourists, and hometown of not only the most beautiful women in the country (according to the Koreans), but also mother Kim Jong Suk, before heading on to the infamous Chongjin and the scenically beautiful Mt Chilbo, where we indulge in the only home-stay available in the country. This is an extremely unique and interesting experience, and your night spent drinking and eating with the Korean family will undoubtedly be unforgettable. Following this we cross the internal border from the DPRK “mainland” into the Rason Special Economic Zone, currently the only place in the DPRK where foreigners can change money at the market rate, use local money and even shop in the private markets! Thus combining the least seen parts of this country, with the practically unseen. We then finish the tour Yanji, Yanbian Korean Autonomous Prefecture, an area with the largest Korean-Chinese population in China. 6 Trips to North Korea This Spring! 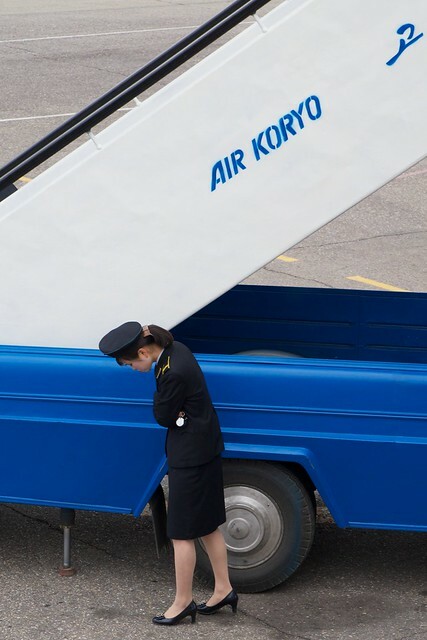 I have a March 30th flight with Koryo Airlines to North Korea – the first of many! A lot has happened since the last time I was in the DPRK (I went to Iran on my last vacation): nuclear and long range missile tests, new sanctions vigorously enforced by the Chinese, suspect internet hacker attacks to both North and South Korea, a visit by Dennis Rodman, cell phone access, and a brief experiment allowing 3G internet access to foreigners – the handful of foreign residents may still use the service, but access to tourists has been rescinded. Other changes, less remarkable, but of interest to those traveling to North Korea: the US spy ship Pueblo has been moved to the Homeland Liberation War Museum (the ship and museum are currently closed until this summer), the Mausoleum has reopened with the body of Kim Jong-il on display, and new routes in the North have been opened to tourism – this April I’m set to be the first American tourist to cross the Tumen/Namyang border into the remote North of the country. 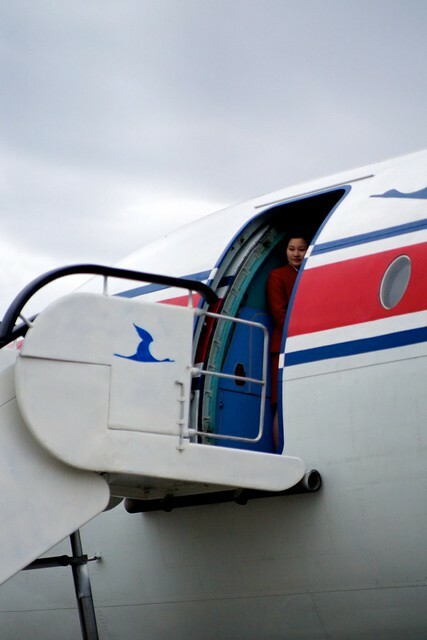 There have been big changes for me as well; I make my return to North Korea as a guide for Young Pioneer Tours. The recent raised tensions have unfortunately made our North Koren partners less than enthusiastic about my new position. KITC does not want to be seen working too closely with Americans at the moment – visas have been issued, and Americans can still tour, but when I’m in country I need to officially present myself as a lowly agent working through YPT, not for them. We hope this will change once tensions ease. 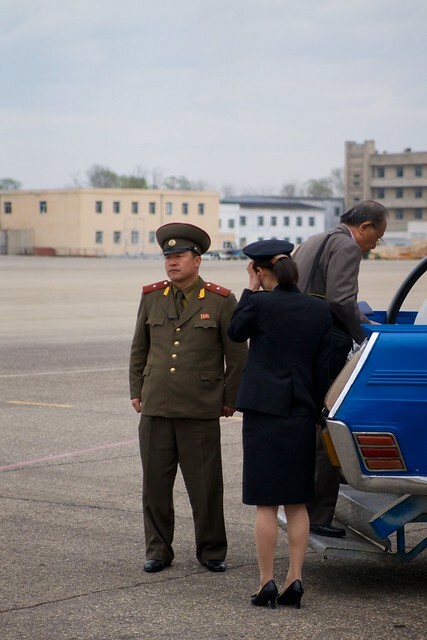 March 30th – April 6th: Private/custom Pyongyang, Nampo, Sariwan, Kaesong, and Mt. Myohyang. April 22nd – April 29th: VIP private investors tour to the Rason Free Trade Zone and first time visits to newly opened sites in the far north – Tumen – Namyang – Hyeryong – Chongjin – Mt Chilbo – Rason – Yanji. 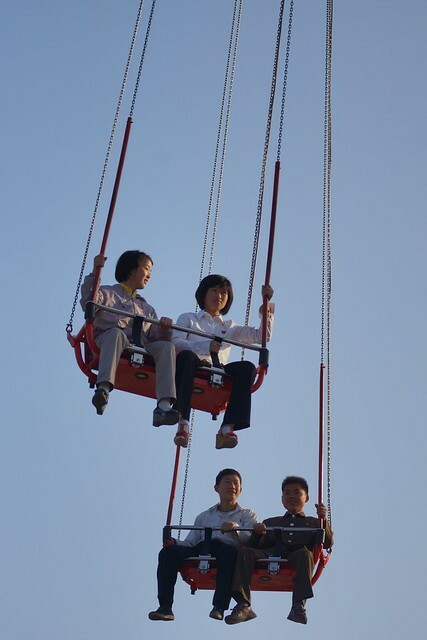 April 29th – May 7th May Day Extravaganza Tour: Working as a guide for Young Pioneer Tours. 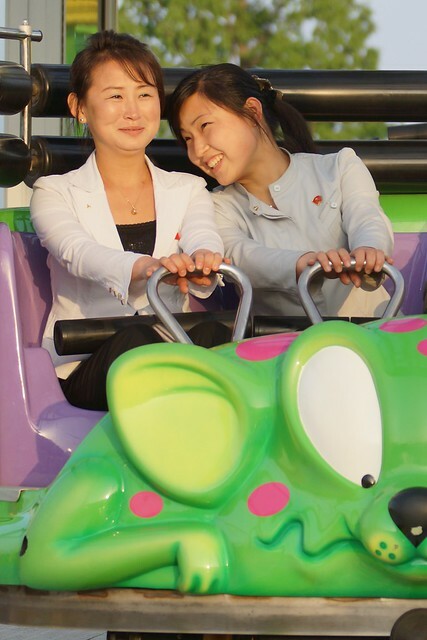 May 8th -12th Rason Special Economic Zone of North Korea : Working as a guide for Young Pioneer Tours. May 13th -May 22nd Fishing trip to Pyongyang, Wonsan, and Kaesong: Working as a guide for Young Pioneer Tours. May 30-June 3 Rason cruise, Rajin Port, to the Mt Kumgang. This fall I will be continuing my tour of countries that don’t actually exist with a visit to Transnistria while helping out on Young Pioneer Tour’s month long Eurasian Adventure Tour. 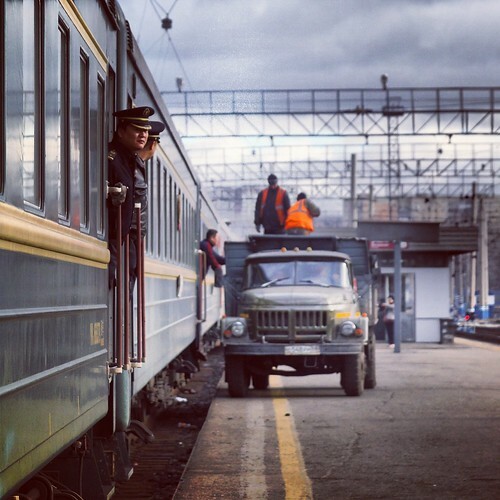 The journey there will be an epic two week adventure from Beijing to Moscow on the Trans Siberian Express, touring through Belarus and Chernobyl in the Ukraine, and finally spending a few days in Moldova, the only ex-Soviet republic to vote the communists back in! Only a couple of hours away from Europe’s biggest cities exist countries we know very little about. Sitting between western and eastern Europe is Transnistria, the “Prydnistrovska Moldavska Respublika” (also called Trans-Dniestr or Transdniestria). 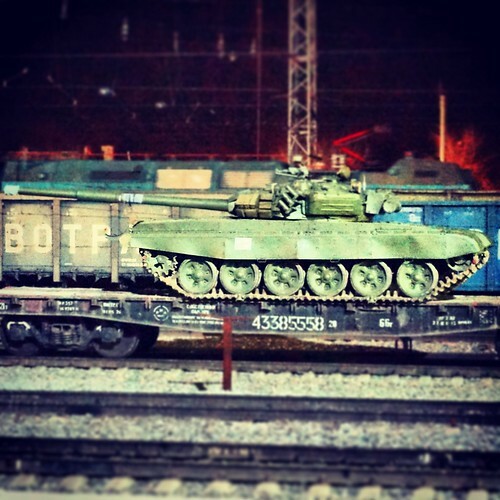 Tucked between Moldova and neighboring Ukraine, Transinistria is an unknown and officially non-existent territory. After the fall of the USSR Transnistria found itself integrated to Moldova. Transnistria proclaimed its independence in 1990 which led to the 1990-1992 independence war between the breakaway republic of Transnistria, backed by the Russia and the republic of Moldova. 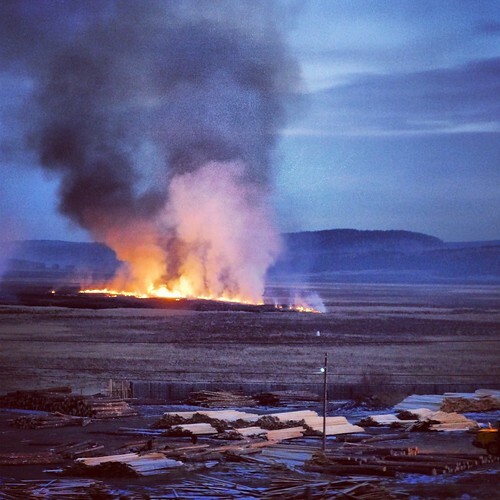 Although the ceasefire has held, the territory’s political status remains unresolved. The outcome of the war was the birth of the republic of Transnistria. Transnistria is currently only recognized by three UN non-members: Abkhazia, Nagorno-Karabakh and South Ossetia, themselves part of the list of states with limited recognition and not recognized by the international community. Transnistria has its own constitution, parliament, central bank and money (the transnistrian rubble), army, flag, national anthem, passports and even stamps. Still it is officially considered as being part of the Moldovan territory. The border between Moldova and Transnistria, although not recognized, is very real with several checkpoints from both Transinistrian and Moldavian guards. The Prydnistrovska Moldavska Respublika boast many of the USSR relics, war memorials and soviet era style architecture. A young Moldovan army recruit proudly guards the eternal flame at the war memorial Eternity. It is dedicated to the soldiers who fell in World War II and the military conflict in Transnistria. The biggest statue of Vladimir Lenin outside Russia is displayed in front of the Transnistrian parliament. According to the 2006 referendum 97.2% of the population voted in favor of “independence from Moldova and free association with Russia”. EU and several other countries didn’t acknowledge these results. A man is wearing a traditional costume. 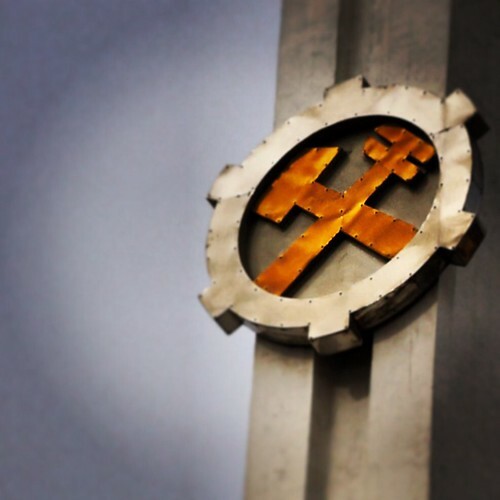 Tiraspol – Transnistria (Moldova). Entrance of Tiraspol’s central Pobedi Park (or “Victory” park) containing a 50’s style amusement park. Remains from the war, like this Russian MIG plane are left outside rusting. All photos by Phil Le Gal. Phil Le Gal is a French documentary photographer based in London UK specializing in photo documentary, reportage and portraiture. He is passionate about stories, travels, revealing how others live, the contradictions and oddities of this world. He is currently undertaking a Master in Photojournalism and Documentary photography at the London college of Communication. 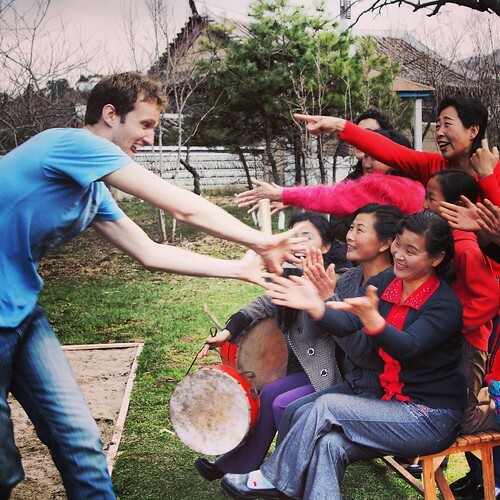 Interested in joining me for the 2013 Eurasian Adventure Tour? Email me at joseph@youngpioneertours.com and I will set you up with a 5% trip discount!